More details are emerging on Final Fantasy XV's battle system and story locations, according to game developers who have taken to the official forums to answer fan questions. The equivalent to difficulty level settings in FFXV is a system where you can switch between different battle modes. By having this ability to switch modes, we want to make it so that both players who like action oriented, technical gameplay and also those who want to fight at a slower, more relaxed pace can all enjoy the combat in their own style. This switching system is a key part of the gameplay that we decided to introduce based on the feedback we received from the Episode Duscae demo. We will go into more detail about the system closer to the game’s launch so stay tuned for more information. Why of course they will! The warp ability that lets you teleport instantly to high up locations is a vital part of FFXV’s battle system. The ability to use multiple warp points in a strategic manner is especially prevalent in the game’s large scale battles over urban terrain. It is not just the buildings though, and we have also created exciting aerial battles with flying foes and gigantic boss enemies, so watch out for those. 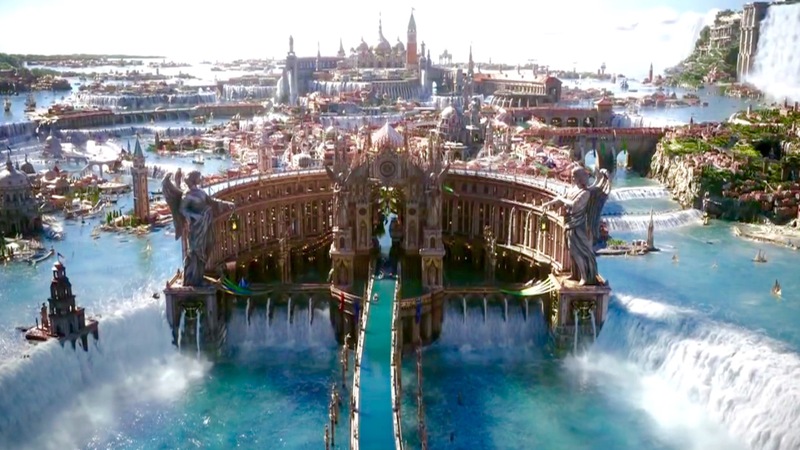 “I can tell everyone a little about Altissia at this time. Altissia has many and varied locations, such as multiple cafes, ship-bourne market places and parks etc. The city is of a considerable scale, to the extent that even the developers sometimes get lost there! The player is free to take a leisurely walk around the complex maze of streets, or ride the gondola to see the sights and there is also added enjoyment to be had looking for restaurants to visit! You are bound to encounter some unique characters when exploring the city streets. Square Enix is getting less and less tight lipped as their March event draws ever nearer. While they're sharing more details about the world in which Final Fantasy XV is set, and the degree to which players will be able to explore it, they've wisely avoided outright spoilers. Final Fantasy XV releases sometime this year. The more I hear about this game the less I actually want to play it. It's like it's been in development so long that the team thinks they have to fill it to the brim to make it seem worth it. The changes to the characters and story the most worrying thing of all.